Working with Andrew I was tasked to create a website which he could update easily and also hit many of the sales triggers to sell products to his potential customers. Andrew also needed a private area where his clients could get exclusive content from him. We first started with the design, after receiving a photo from Andrew of a recent photo shoot he’d done, it became clear of the colour scheme we would choose. Andrew was very keen on making the page convert and I implemented his ideas as we went. We decided on a simple one field email capture form which saved to a mail chimp list so he could run his campaigns from there. Again I utilised Advanced Custom Fields to create much more editable content for Andrew, giving him control over his hero, about and promo sections on the front-page. The services section on the site were created using a custom post type, allowing Andrew to add more as time goes on and they would automatically be displayed for him on the frontend, he could access these on the backend with a new post category. I created the same type of component for the testimonials section so Andrew could add new people and they would display for him in the footer. 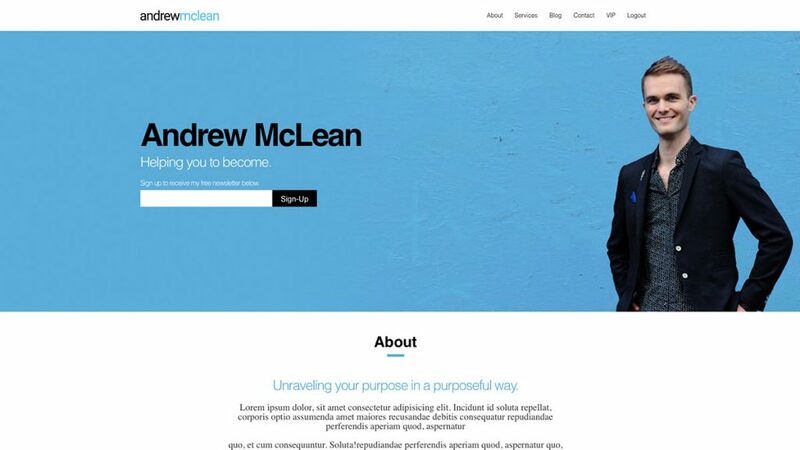 Andrew wanted the ability to blog and a simple contact form that would email him. These are very simple interactions with WordPress using the built in posts feature and Contact Form 7 Plugin. Something new to me was creating a members area. After some research I chose a plugin called Members, this would allow me to set roles for users and limit them from certain posts and pages, ultimately blocking them from the VIP area if not logged in. 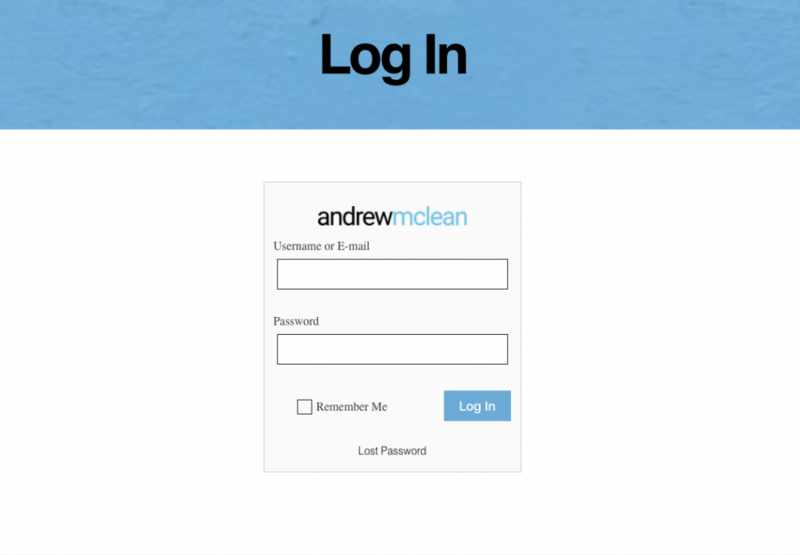 They were also greeted by a custom login screen, so they wouldn’t have to view the WordPress login or backend making for more of a branded experience.